Have you ever been criticized? What did it do to your spirit? Did you feel alive, warm, joyful, or elated? Chances are you’re saying no, no, no. Of course, no one likes being criticized. If that’s the case, why do we do it so often? We criticize ourselves, we criticize each other, and we criticize the weather. Is there anything left? Too often we become victims to criticism and we wonder why us. Why did that person pick on me? 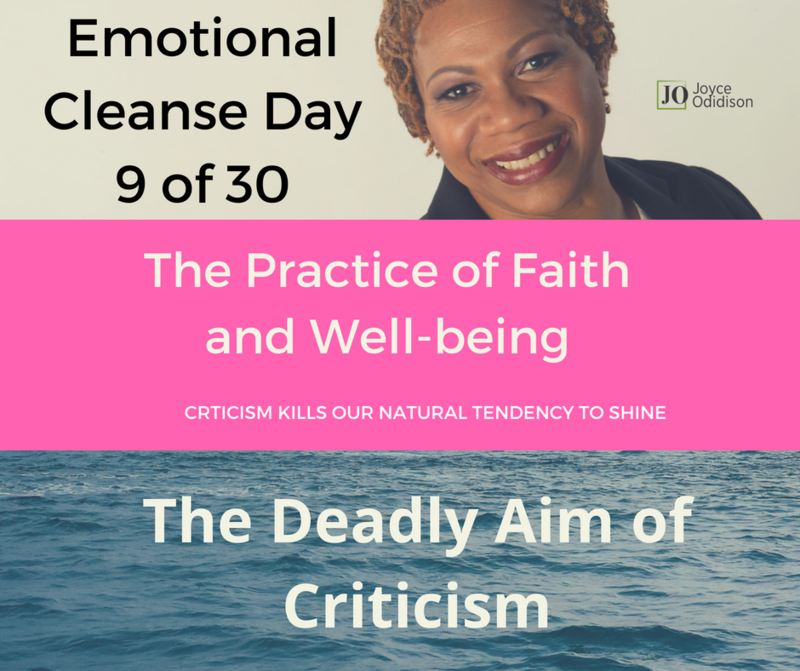 Why do we have to endure the sharp tongue of another person and the deadly aim of their criticism? Criticism wounds us deeply, it kills the spirit, fosters confusion, and damages our self-esteem. This occurs even when we have a strong sense of who we are and what we are doing. It is very destructive to those who are still searching, finding their way, or learning how to navigate life. Parents should never criticize their children. I think parental criticism should be classified as the worst kind of abuse. What about spouses? Should we criticize our spouses? No matter what their faults, spouses should find a constructive way to identify the things needing to be addressed and help each other to do them. Being critical of your spouse is a way to foster certain death of your relationship. What about criticism at work? Should that be allowed? I think not. Criticism at work makes for a very divisive, discomforting, and disharmonious atmosphere among team members. Since no one likes to be criticized, it is a sure way to ensure you are left out, uninvited, and regarded as hard to get along with. Criticism starts with our thoughts. We begin by thinking a negative or critical thought, then believing it enough to share it with another person. either through gossip about another or to the person themselves. You must also note that too many critical thoughts will give you indigestion and then constipation. Look around you, notice the folks who are most critical seldom smile? It may be because their tummy is just not feeling well. Send them a positive thought. Today, your job is to monitor your thoughts, when you notice a critical thought, ask your brain to produce the positive, or affirming alternative thought. When that new thought comes, embrace it, believe it, and share it freely. You would be surprised that as much as we hate to be criticized, no one objects to being affirmed.